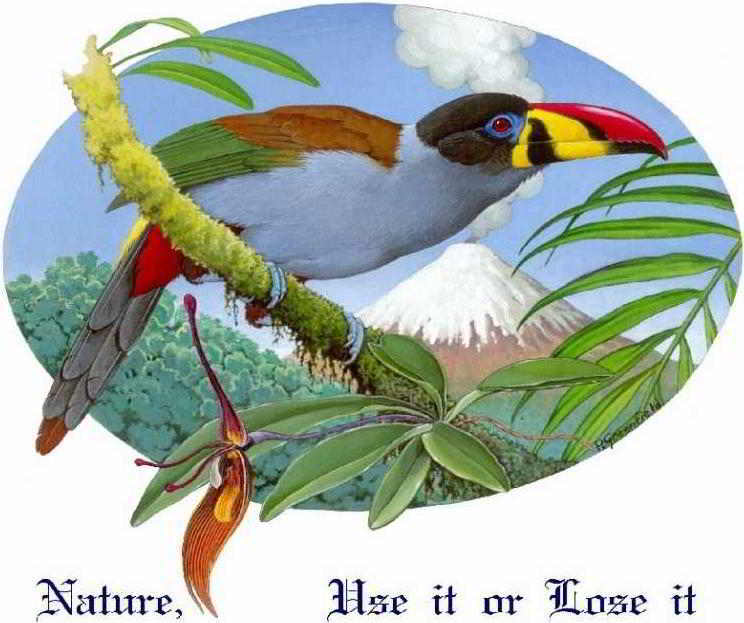 CLIMATE IN QUITO ECUADOR & CLIMATE OTAVALO ECUADOR: INFO ON WEATHER & SEASONS: Graphs: hours of sunshine, overcast, rainfall, temperatures, etc. From the middle of Colombia until almost the south of Ecuador, the Andes has a mild spring-like climate throughout the year with daily weather patterns of alternating sunny and cloudy periods. To this pattern, Quito, & Otavalo are no exception. 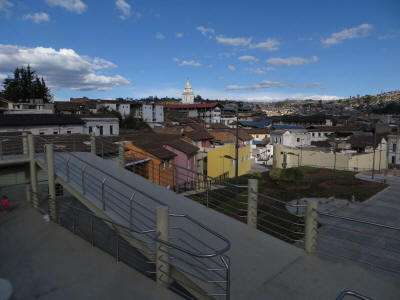 Typically the temperatures in Quito rise to an agreeable level between 20 - 25 degrees Celsius in daytime, while the weather cools off to below 15 degrees at night, when a light sweater or jacket is needed. The climate of Quito and Otavalo sports a dry season - often referred to as "summer" from June through September, 4 months. The rest of the year, the rainy season or "winter", is characterized by usually sunnier mornings and cloudy afternoons, often with showers. The Annual precipitation, is about 1,000 mm (39 in), but varies considerably by location. We highly recommend taking a taxi before breakfast to Colonial Quito at 8 AM, get dropped off at the Western side of the Basilica del Voto, walk up to a little park and enjoy the church against a beautiful morning sky. After that, walk down to the East side and take some great pictures of the church bathing in the bright morning light from the bottom of the park. 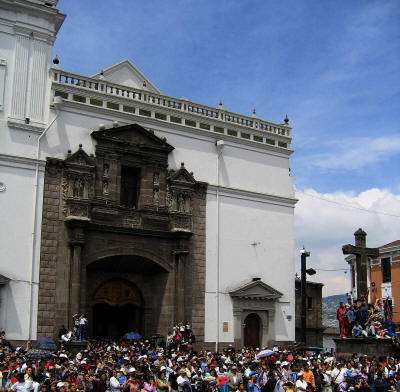 Don't go into the church now, but rather walk towards the Plaza Central to enjoy it with the Presidential Palace, or any of the churches of Quito, bathing in the warmth of the early morning sun in a cloudless sky. From there walk to the Iglesia de la Compania and the old Banco Central, which are bathing in the morning sunlight. Walk one block West to see the San Fransisco Church in the morning light. By that time you will definitely have worked up an appetite, have breakfast for which there are plenty of little places to enjoy. After breakfast, start entering the beautiful interiors of the churches you have just visited. Comes evening, you would enjoy visiting the Plaza 24 de Mayo and walk towards the Santo Domingo Square, which now is in optimal lighting for taking photographs or merely enjoying the incredibly beautiful scenery. 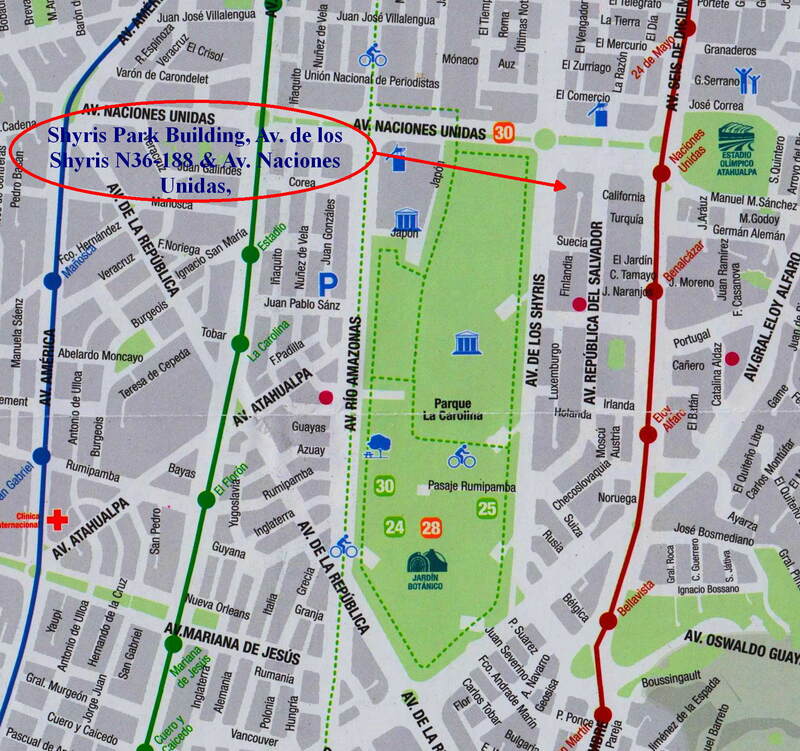 Another great morning route is by taking a taxi to the Panacillo which gives a magnificent view over the city, bathing in early morning sun and then walk down the stairs towards the Plaza 24 de Mayo and do in reverse what we recommended above. Of course, you can also walk up the stairs at the end of the the first route we suggested, but if you are not used yet to the elevation of almost 3,000 m, it may get you quite a bit out of breath. 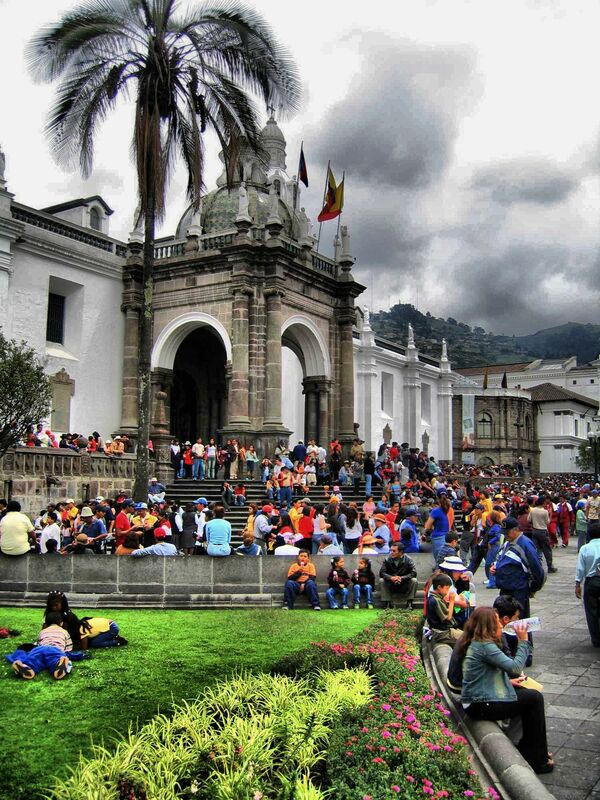 Quito also has the best museums of Ecuador, but we recommend that you with with those for cloudy moments. In Otavalo, we recommend that before going to the market, you leave your hotel at 8 AM, to first stroll the Plaza Central, which is beautifully lit in the morning sun. Many stalls are not open yet anyway, so you get extra pleasure of your stay in the charming little town. When the sun is out, the light in Quito is extraordinarily bright and beautiful with deep blue skies. On a typical day in Quito, clouds are moving in, but they don't necessarily bring rain, and when they do, rains often only last a brief moment. As the Quito climate is spring-like, most people walk in shirts, light sweaters and short jackets. Then, towards sunset, often the sky clears up again and one can enjoy a few last moments of Colonial Quito bathed in gorgeous lighting.